¨ Responsible for the fashion design, technical design and graphic design of all product categories. ¨ Responsible for managing the entire Design and Merchandising process from conception to final production. ¨ Created website and set up all ecommerce systems on the following platforms: Wix, WordPress, Shopify, Shipwire, eBay and Amazon. ¨ Established brand identity on several social media platforms including Facebook, Twitter, Pinterest, Tumblr, Google Plus and Instagram. ¨ Directed associate designers, technical designers, and freelance graphic artists. Identified trends, generated successful product concepts, and devised eye-catching color palettes while creating seasonal line plans. ¨ Developed product categories for a wide variety of distribution channels, from mass/discount to mid-tier department stores. 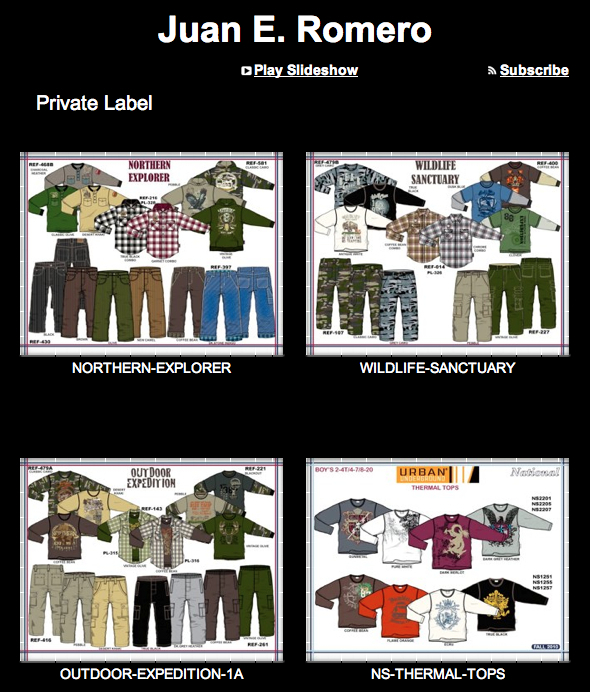 ¨ Secured the seamless execution of diverse lines, from initial design through production/delivery. ¨ Ensured correct fit and styling in pre-production samples; supervised fittings. 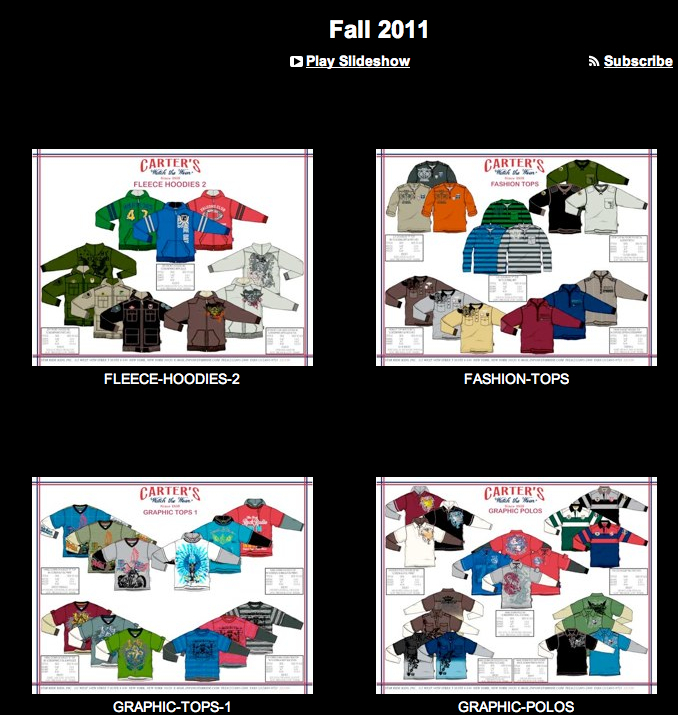 ¨ Presented collections to Sales Force, provided presentation support, and prepped the team for market. 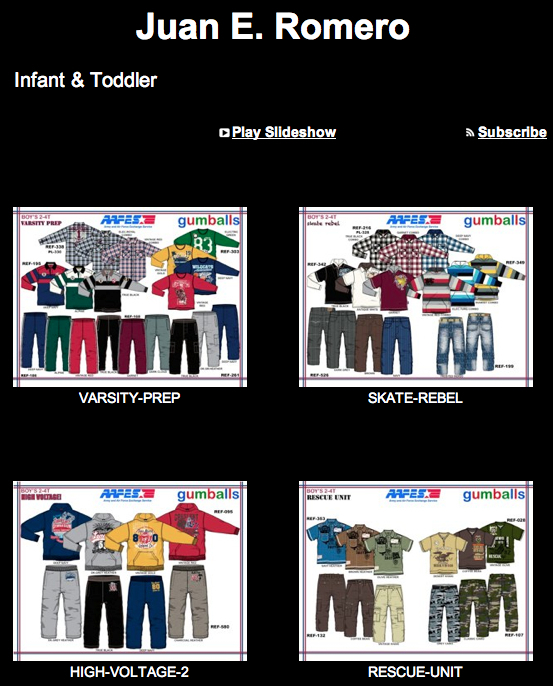 ¨ Divisions Managed: Boy’s 4-20 and Infant / Toddler Divisions, Carter’s Watch the Wear license (all product categories), Panyc, Boyz Threadz Infant/Toddler line, and all Private Label programs. ¨ Increased annual sales volume from $5 million to $15 million by creating new product categories and expanding the line assortment in fresh and exciting ways. ¨ Grew market share by effectively strategizing with Sales and Production Departments. ¨ Continually improved line strategies and identified new opportunities by analyzing retail sell-through reports, market feedback, competitive trends, and product performance information. ¨ Met tight production deadlines and adhered to merchandising calendar milestones by skillfully managing workflow and resources. ¨ Achieved the highest standards of manufacturing quality control and improved margins on all programs. 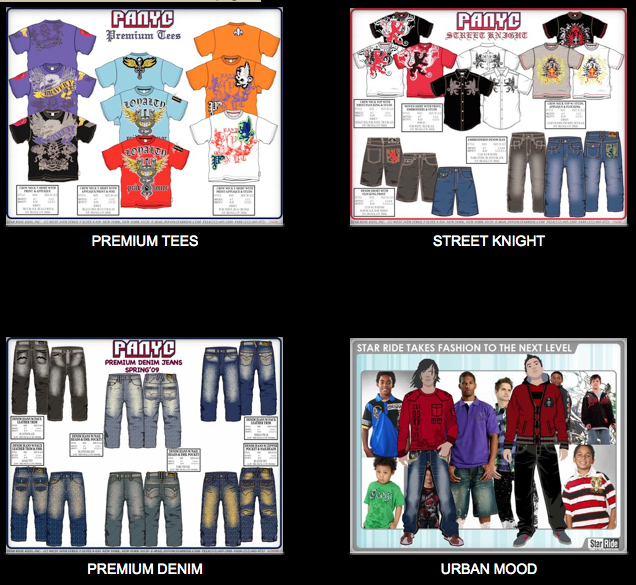 Innovative and creative design and merchandising leader with a keen eye for detail and the ability to conceptualize and translate ideas into seasonal fashion apparel for the Men’s, Young Men’s and Boys’ markets. Extensive hands-on experience developing woven, sweater and knit lines to meet the needs of a demanding market. Able to inspire and lead a design and sales account staff to promote the adoption of new products into retail venues. Ability to apply an innovative style, color, and design sense to facilitate millions of dollars in new sales. Proficient in Adobe Illustrator, Photoshop and Microsoft Office Suite. Bilingual Spanish.